I love to read almost as much as I like to eat so when I come across The Travelling Belly that is a happy combination of the two I was delighted. 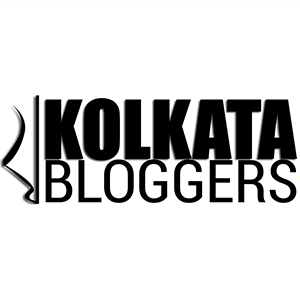 I have had the good fortune of getting to know Kalyan Karmakar first as an award winning blogger ( http://www.finelychopped.net ) that I greatly admire and more recently as a cherished friend. When he called and asked me if I would be the Master of Ceremonies at the Kolkata Book Launch and Reading of The Travelling Belly I immediately accepted because it would be a priviliged to share this special moment with him and also because I genuinely loved the book. Incidentally both the blog and his book were named by his lovely wife Kainaz. The book travels across the length and breath of the country making you hungrier as you turn every page. For those who have had the privilege to meet Kalyan Karmakar they will realise that the book is a true reflection of who he is as a person…warm, grounded, kind, funny and always making you hungry ! The tips and suggested walks at the end of every section are a super value addition to the book and a rather unique feature. The book launch and reading were hosted by Siddhartha Bose of Bhojahori Manna at their Hindustan Park outlet and it was an absolute full house. It seemed that the City of Joy was determined to give Kalyan a resounding welcome home. All the delicious “jolkhabar” that Siddhartha Da had organised including a delicious Luchi and Aloo Torkari , Mutton Singhara , Fish Chop , Mochar Cutlet and Jilipis were delicious and truly the icing on the cake for all the guests present who happily tucked into the mouthwatering fare on offer. After a brief introduction of Kalyan (who as I mentioned certainly needed no introduction) he had a chat with us about the book and then The Travelling Belly was launched in The City of Joy by his elegant and lovely Didu (Granny) who is his reason to keep coming back to the city as often as possible. She graced the occasion and not only made it even more special for Kalyan but for all of us present there. Thereafter I requested Kalyan to read tor us from the book and he obliged with an extract which spoke of his arrival in Kolkata from Iran and his then hate, now turned love affair with Bengali Cuisine. His Didu is considered to be the best Chef in their family and when he shifted to Mumbai two decades back it was her recipes that he started to cook for his wife in their little kitchen. The lovely reading was followed by a lively and interactive “adda” in true Calcutta style with enthusiastic audience participation after which Kalyan was surrounded by everyone present to sign their copy of his book and pose for numerous selfies and photographs. It was such a joyous, unpretentious, warm and touching evening and quite a fitting welcome to Kalyan Karmakar and The Travelling Belly. The book is available on Amazon and all major book stores. Previous Post Lets do some Afra Tafri !